Opening Tracks and Radio Songs: Sweet Sixteen! First things first, results from the last matches. The Boss falls to Marvin Gaye’s “What’s Going On,” 56.5-54.3- hurts my heart, but WGO is a strong song and deserving of advancing. Similarly “Come Together” trounces “Purple Haze” 61.5-51.5. On the radio side, “This Is Radio Clash” ekes out “Rock and Roll” 52.7-49.2. And “Video Killed The Radio Star” destroys Donna Summer, 53.9-38.6. Writing you all from a Motel Six in Wisconsin Dells, WI, water slide capital of the world. I have unfortunately not ridden a water slide nor will I before I leave town. I did however finish the last chapter of the first draft of my book I’ve been writing for seven years though! Yes, I know you are excited. Still gotta write the “what happened next” epilogue, which most certainly won’t be as fun as living in the Katrina moments, but still. Anyways, in Wisconsin and leaving for Minneapolis in a few hours. I’m pretty sure Janos is either en route between Los Angeles and San Francisco or already in San Fran. We have a loose plan to meet in Seattle but I’m not quite sure whether I’m going to make it in time for his itinerary. Which must means Aiko has to host two separate guests. Anyhow, Sweet Sixteen time and you better believe I’m making the Minneapolis crew vote on this tonight wherever we end up (hopefully somewhere that I can commandeer the jukebox.) Playlist is here, full rules and philosophy here, and the tournament bracket is here. Let’s call this one due at 11:00 PM Eastern Standard Time on Monday, March 25th. See you in the comments! 6 Responses to Opening Tracks and Radio Songs: Sweet Sixteen! I think you’ve got the matchups wrong. Caravan is in there somewhere, and you’ve got Radio Free Europe listed twice. 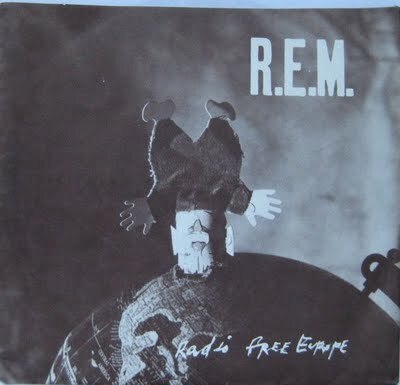 7.5- “Radio Free Europe”, R.E.M. Modern Love – Bowie – 8.0 This is what was on GrooveShark. We voted at Grant’s place, but I’m not sure it went through.